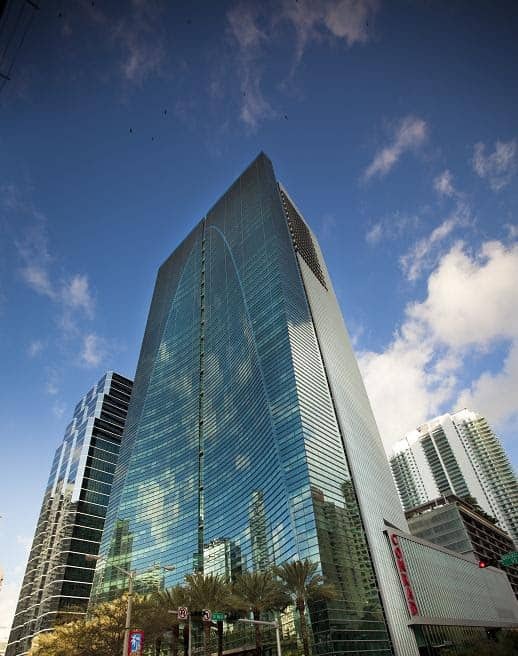 In the heart of downtown Miami’s financial district, featuring views of the city and Bay of Biscayne, rooftop pool and tennis and personalized service for a southern Florida getaway. A Hilton awarded 2012 Luxury Hotel of the Year! Conrad Miami salutes all the men and women across America who work tirelessly every day to better our nation. From May through Sept. 30, 2015, Conrad Miami is offering the nation’s public sector servants a special discounted room rate of $109 per night; 50 percent off of all regular-priced spa treatments, 20 percent off of all meals at the restaurant, and 50 percent off valet parking. “Conrad Miami is delighted to offer America’s public servants the opportunity to take a well-deserved break this summer in Miami,” said Stephane Mercier, General Manager, Conrad Miami. Whether guests are looking for an exciting cultural city escape or a relaxing sun-filled retreat, Conrad Miami has the perfect summer planned. Nestled in the heart of Miami’s chic Downtown neighborhood, Conrad Miami is known for its contemporary luxury and personalized, intuitive service. Guests can begin their day with a delicious breakfast on the hotel’s 25th floor with sky-high views of the city and Biscayne Bay. Then it’s time to soak up the sun on the hotel’s rooftop pool oasis or for a game of tennis on the newly renovated rooftop courts. Cool off at the Spa at Conrad Miami, a boutique spa oasis that offers an extensive treatment menu including personalized massages, signature facials and invigorating soaks. All regular-priced spa treatments will be 50 percent off for eligible guests. 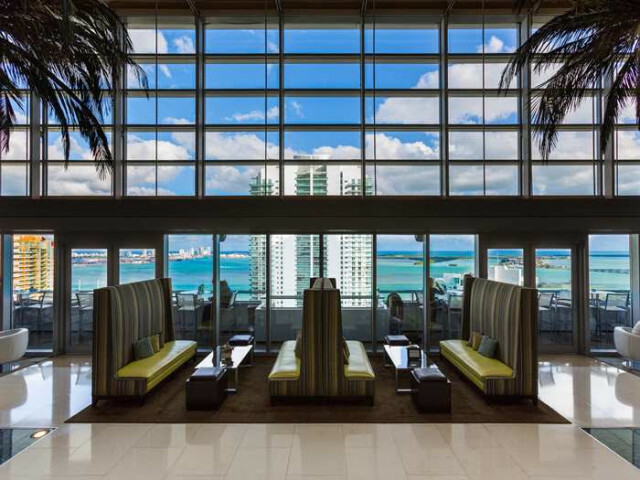 The fitness center is open 24-hours-a-day and features the latest work out equipment along with killer views of Miami. Cap off the evening with a delicious dinner at the hotel’s Atrio Restaurant + Wine Room which serves as the perfect backdrop for a romantic evening. Don’t forget to try the sinfully indulgent Warm Donut and Bread Pudding. For more information or to book the Conrad Miami’s Summer Special, please call 1-800-CONRADS and ask for code P5. A Military or Public Servant ID card is required upon check-in at the hotel. For information on the hotel, please visit conradmiami.com and for more information about Conrad Hotels & Resorts please visit conradhotels.com or news.conradhotels.com. More than luxury or location, beyond bold design and stunning architecture, Conrad Miami is about unique guest experiences that redefine hospitality for business and leisure travelers alike in the heart of Miami’s business and financial district. Its 203 rooms and 103 residence suites are known for providing the most discriminating traveler with superior comfort and high-tech facilities. Conrad Miami’s philosophy of service and meticulous attention to detail permeate the property, from the extraordinary cuisine of Atrio and personalized therapies of The Spa, to the modern conference facilities and rooftop pool area. An ongoing, unobtrusive program of capital upgrades and refurbishment reflects Conrad Miami’s commitment to perfecting the guest experience. For more information, visit www.conradhotels.com.